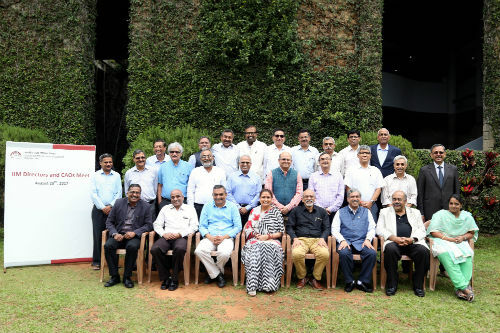 Bengaluru: A meeting of the Directors and Chief Administrative Officers (CAOs) of Indian Institutes of Management (IIMs) was hosted at IIM Bangalore, on August 27 and 28. Fifteen IIM directors, one Nodal Officer and one Convenor of two new IIMs and eight CAOs attended this first-of-its-kind prequel to the annual Pan-IIM Conference which is scheduled to be held in December this year at IIM Lucknow. The meeting started with a plenary that set the context for the discussions, especially given that the IIM Bill is in the process of Parliamentary approval. After the plenary, discussions were held in two separate groups, one consisting of the Directors and the other of the CAOs. 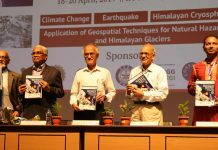 A few key functionaries from IIMB including the Deans and Heads of HR, Finance and ERP implementation also participated. 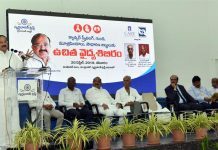 The Directors’ meeting covered issues including implications of the IIM Bill (ordinances/regulations, degree-granting issues, Board constitution), CAT Corporation, accreditation of management schools, National Testing Agency, agenda for the PAN-IIM Conference 2017, PAN-IIM Conference 2018 (to be held from December 13-15, 2018 at IIMB), and FPM (Fellow Programme in Management – the doctoral programme) synergies among all the IIMs. The CAOs’ meeting covered issues in finance (Service Tax/GST, Income Tax/TDS on Perquisite, GST Implementation), procurement, recruitment and automating processes. The meet ended with a plenary session where the discussions of the day were jointly summarised and the way forward was agreed upon.